We are now in the midst of National Nutrition Month®, a nutrition education and information campaign sponsored annually by the Academy of Nutrition and Dietetics each March. This commitment to educate the public on eating better is something Doctors of Chiropractic do on a regular basis in treating their patients and guiding their overall wellness. There is no better way to rejuvenate your health than by eating more nutritiously. In fact, even a few simple changes in your diet and lifestyle can have a positive impact on your health-and can also prevent a variety of health problems in the future. The traditional coffee and doughnuts for breakfast; a hamburger for lunch-or no lunch; candy, cookies, and a soft drink for a snack; followed by a huge dinner with more protein than a person needs-are unhealthy dietary choices. As a result, younger people are starting to suffer from heart disease-not only because of poor diet, but also because of an epidemic of inactivity. To reverse the alarming trend, many chiropractors urge patients to stop smoking, eat a balanced diet, drink plenty of water, exercise regularly, and augment their balanced diet with appropriate nutritional supplements. Eat out more sparingly. Food preparation methods in restaurants often involve high amounts-and the wrong types-of fat and sugar. Brown-bag your lunch to control your fat and sugar content while adding nutritious fruits, vegetables, and grains. Limit your intake of alcohol and quit smoking. Drinking alcohol excessively and/or smoking hinder your body’s ability to absorb nutrients from your food. Eat more raw foods. Cooking and canning destroys much of the nutrition in foods. With the exception of canned tomatoes, which can help prevent prostate cancer,(1) fresh or frozen fruits and vegetables always have more natural vitamins and minerals. Select organically grown foods when possible, because they have lower amounts of toxic elements, such as pesticides and heavy metals. Before eliminating animal products from the diet, learn to do it right. Children, pregnant and breast-feeding women, and people recovering from illness should consult their health care practitioners. Don’t “self-prescribe.” Consult a health care practitioner, such as a doctor of chiropractic, to determine what supplements are best for you. If you have symptoms such as headaches, chronic fatigue or cardiac problems, seek professional advice from a health care provider who specializes in nutrition. Pohar KS, Gong MC, Bahnson R, Miller EC, Clinton SK. Tomatoes, lycopene and prostate cancer: a clinician’s guide for counseling those at risk for prostate cancer. World J Urol. 2003 May;21(1):9-14. Epub 2003 Mar 22. Beilin LJ. Vegetarian and other complex diets, fats, fiber, and hypertension. Am J Clin Nutr. 1994;59(suppl):1130-1135. Dwyer JT. Health aspects of vegetarian diets. Am J Clin Nutr. 1988;48(suppl):712-738. Economic Characterization of the Dietary Supplement Industry: Final Report. In “U.S. Food and Drug Administration Center for Food Safety and Applied Nutrition” March 1999. 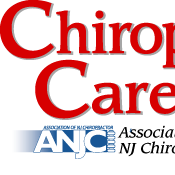 Posted: March 14th, 2012 under Chiropractic Care.